10 years ago, Bangsar Shopping Centre was very different. I remember going there often for the frozen yogurt and corn in a cup from Nelson’s after school. What I remembered most about BSC was Dave’s Deli. It was our (rif and I) hangout place because it was nearby. We were 16, with no driving licence and not much money. 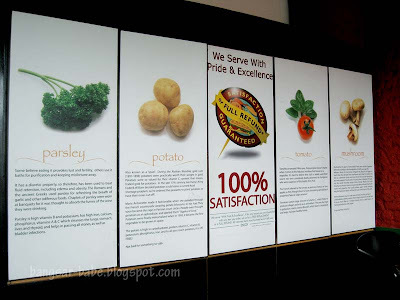 Dave’s Deli BSC closed down in 2003, and while they had outlets in Subang Parade and 1 Utama, I never bothered going. 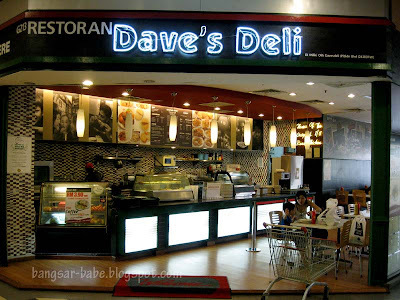 To my surprise, rif suggested Dave’s Deli for lunch when we were in 1 Utama recently. 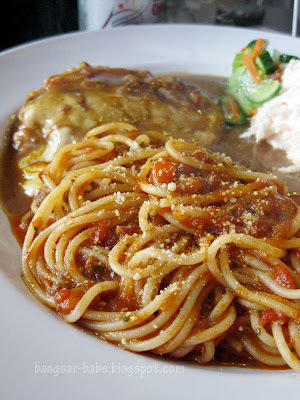 Like old times, we ordered the ¼ roast chicken & gravy (RM14.50) and the Pasta Combo (RM16.50). The chicken was decent, as were the coleslaw and mash potatoes. 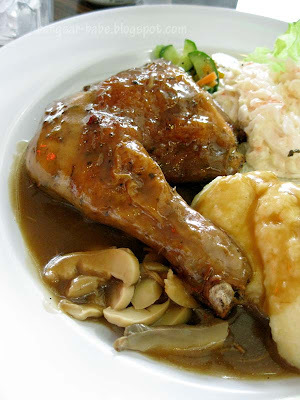 It was tender and flavourful from the mushroom gravy. 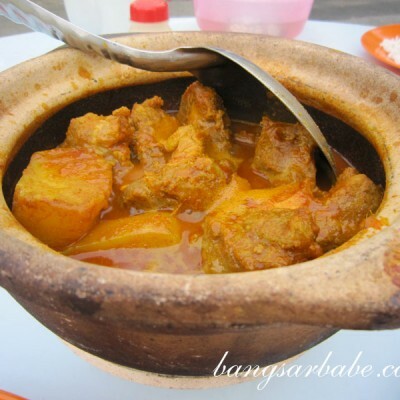 I especially enjoyed the skin, which was well seasoned with herbs and black pepper. The mash potato and coleslaw were nothing to shout about, but definitely better than the sides from this famous roast chicken franchise I know of. We always sneaked bites from each other’s dish, and many years down the road, we were still the same. I found the lasagna mushy — because they put too much gravy on top (I don’t remember them doing that last time). The spaghetti, although slightly on the sour side, tasted alright. Truth be told, I didn’t find the food great, but it was hearty and comforting. This was more of a walk down memory lane for us, so in that sense, I enjoyed my lunch. Verdict: Simple deli food, average pricing. they used to have an outlet in Sunway Pyramid right??? i remembered their roast chicken. Mmmm… I remember once upon a time (when I was younger+poorer), Dave's was considered a super good meal already. Those were the days before I knew the existence of places like Cilantro! haha…. 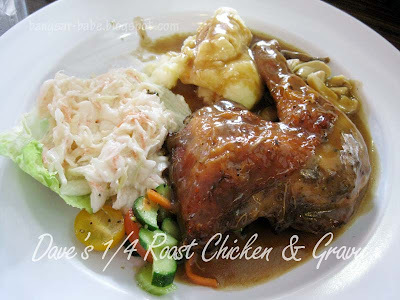 I used to love the roast chicken at Dave's Deli, and the outlet I visited the most was the one in BSC. 🙂 Like you, I also got my Nelson's corn-in-a-cup (at that time, a new novelty) in BSC. yes yes.. alws preferred this to (u knw where ;p) & in those years, a meal at Dave deli (back in Pg) was a treat! I dont think i ever had Dave's deli in KL before..
Hey though Dave's Deli is no more in Ipoh, I still kinda miss their foccacia, with cheese. They call it another name, I forgot what. But its healthy, tasty and wholesome at the same time. And a little sinful with the cheese. 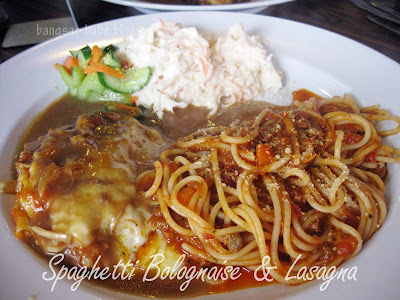 the outlet i went to was in queensbay mall,penang,i ate lasagna and i loved it,but that’s my preference i guess.the food is wonderfully homely and delicious though it may not be the best.nest time i will try this the roast chicken n gravy,thanks again bangsar babe!! !